I had a great experience partnering with my friends from Honsha for a different Japan trip last October. It wasn’t healthcare specific, unlike the Kaizen Institute tours I have helped with in the past. Read more about this trip via my blog and contact me if you’d like more information. I hope to do another trip with them in 2019. Click to download a PDF about the most recent tour. The trips are being organized by Kaizen Institute and Mark Graban. The trip runs Monday through Friday in various cities in Japan. The fee, 5400 EUR (convert currency) in 2016, is paid to Kaizen Institute and it’s all-inclusive once you get to our starting point city in Japan (Nagoya) and the trip ends in and departs from Nagoya. This price includes hotels, in-country transportation (plane and/or train & private bus), meals, tour guides and interpreters, the tours, and other special events – not to mention all of the planning that goes into creating an amazing experience. It’s not an inexpensive trip, but it’s quite a memorable and impactful journey. Read Mark Graban’s blog posts about the trips. In the previous tours, we secured three KAIZEN™ minded hospitals to visit, as well as Toyota and much more! The detailed itinerary is still being developed for 2018. This isn’t just a “study tour” or a “benchmarking tour.” You’ll learn a holistic view and understanding of Kaizen and Lean, not just isolated tools and methods to adopt that might not have the same impact in a different organizational culture. You’ll learn Kaizen Institute’s specific method for how to effectively turn an organization around for sustainable Kaizen. The site visits are powerful, but I’ve always been very impressed with the attendees. In the past, they have been very international groups, so you get the opportunity to reflect on what you’re seeing and compare notes about various “Lean journeys” around the world and people’s efforts to create and sustain a culture of continuous improvement. It’s an incredibly energizing and interesting learning opportunity and experience. Japan is a fun and fascinating place. The tour allows you get a sense of Japanese culture and how that both contributes to a Kaizen culture and creates some challenges that Toyota and other companies have had to work through (see my blog post on this). Go and see and learn first hand, from Nagoya to Tokyo and points in between! We discovered many shared interests to discuss. I used to be skeptical about taking a long, cramped, tiring flight to Japan just for the purpose of learning about Lean and the Toyota Production System. There are healthcare organizations that send many people on study missions to Japan each year — Virginia Mason Medical Center and Seattle Children’s Hospital are two of them. These are both great Lean organizations, so they must be onto something. I’ve heard a few people say that you MUST go to Japan if you’re going to understand Lean. Hmmm. But, wait a minute. Back in 2012, I thought…. 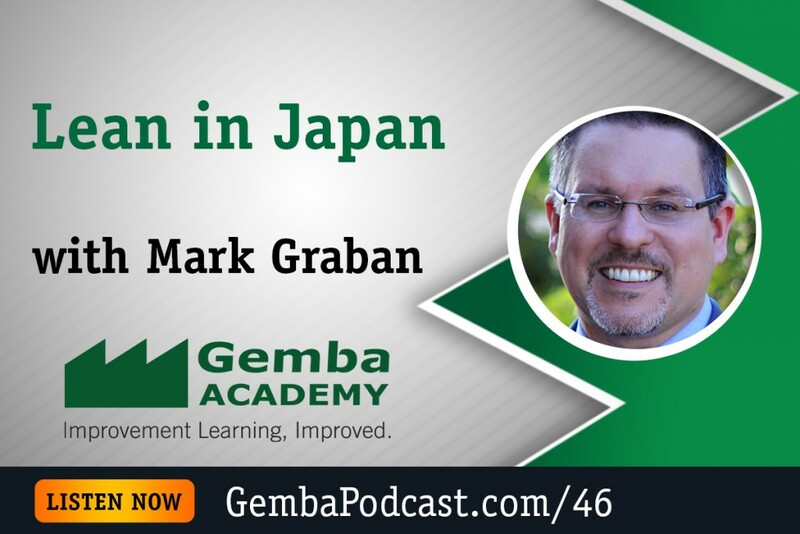 I’ve been studying and practicing Lean for twenty years and I’ve never been to Japan. I’ve had mentors who came from Japan, mentors who visited Japan, and mentors who worked in Japan. I mean, I don’t know everything and I’m not perfect, but I think I’m doing OK. There’s always room to get better, but we have books and video courses and all sorts of ways to learn about Lean (did I mention mentors?) without going to Japan. ThedaCare, one of the best Lean healthcare organizations doesn’t send dozens of people to Japan each year. I think they send them to a factory near Milwaukee. Yet, people travel from all over the world to visit ThedaCare to learn from THEM. On the fourth hand, people also come to visit Virginia Mason and to learn from them. So, maybe you can be successful with Lean either way – go to Japan or don’t go to Japan. I had always thought that going to Japan might be useful, but it wasn’t necessary. It’s not a “must do” trip. I thought one would probably learn a lot by going, and it could be fun, but it wasn’t necessary. You could do a great job in Lean without that experience, I said. I didn’t encourage it and I didn’t discourage it. Maybe I was rationalizing that I didn’t have a big gap in my Lean understanding because I’ve been learning and practicing this for 20 years without going to Japan. But, I’ve learned from many who came from Japan, visited Japan, and worked there. Maybe that was good enough. I decided to give it a try – and loved it! But, I tell you, I became tempted and wanted to go to Japan. I didn’t feel like I NEEDED to go to Japan to study Lean. But, I decided I WANTED to go. I was curious about the country, especially Tokyo. I wanted to see the rural surroundings of Toyota City. I wanted to learn the differences, if I could, between “Lean Culture” and “Japanese Culture” (and our guides helped us understand the difference). In 2012, I decided to go on a trip led by Kaizen Institute. I loved it so much, I went back in 2014 and I can’t wait to go back again. I knew and trusted them through Masaaki Imai’s work and the great work of others on their team. I went on a week-long all-inclusive trip where everything was amazing well organized. We had bi-lingual guides who knew Japan and how to help us get around. We toured Toyota, another amazing factory, and two hospitals. We had lectures and discussions that put it all into context. And, we amazing cultural experiences that I’ll remember for a lifetime. I’m happy to have the chance to go back with Kaizen Institute in November (if we can find enough attendees). This time, I will have a more formal role of facilitating some of the discussions. I started my career in manufacturing, so I can help the healthcare attendees put things into context. Last time, we had attendees from five or six different countries, so what we learn from those discussions, was great too. I hope you’ll consider coming. I’m now in the camp of “you should go to Japan — if you want to.” This trip is targeted toward “Lean Healthcare” professionals, but that’s not a hard requirement. Maybe you’ve gone to Japan before, but from a manufacturing perspective, and this would be an interesting way to learn about Lean Healthcare, if you’re considering a career switch or otherwise. …ideas and inspiration you can bring back to your organization. Memories for a lifetime. As with many things, it’s not cheap… but it’s worth it. If you’d like to learn more, click here to contact me or click one of the big blue buttons on this page. I hope you will join us, wherever you are flying from. This is not an inexpensive trip… it’s going to cost about $7,000 in fees for the all-inclusive time in Japan (plus your airfare there and back. Your boss might focus on the cost, but try to think about the value of such a trip. Invite your boss to come along with you (especially if they are a senior leader). You’ll see and learn together and this can help launch the next phase of your Lean journey. Use frequent flyer miles for your airfare or pay for the airfare on your own, if you can and your organization will allow it. That shows your financial commitment to the trip. Put together a solid action plan (an A3, even) that talks about the goals and expected outcomes of the trip — what are you going to do when you get back? What are you going to teach to others upon your return? Timing might be short, but see if you can find a foundation or local healthcare-focused charity to sponsor your trip. What other ideas do you have to share that have worked or might work? Contact us and share.